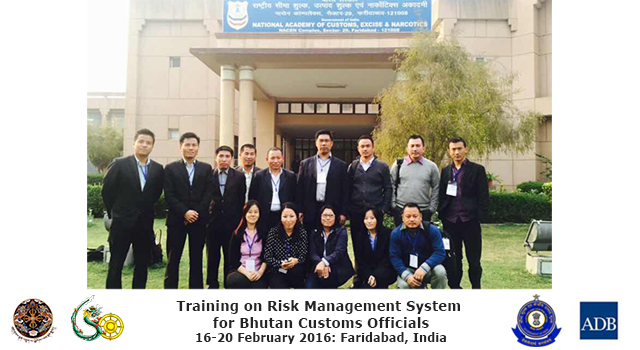 A south-south Customs cooperation initiative was successfully implemented on 16-20 February 2016, with fifteen Customs officers from Bhutan’s Department of Revenue and Customs attending a five-day training program on Risk Management in Customs, delivered by experts in the field from India’s Central Board of Excise and Customs at the National Academy of Customs Excise and Narcotics (NACEN), based in Faridabad, India. 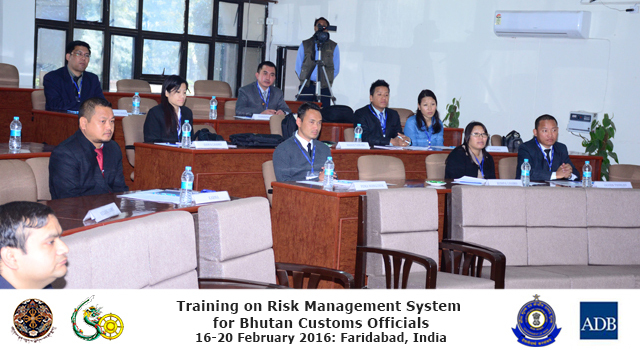 Changes in the strategic landscape of Customs’ operating environments around the world, together with long-term growth in trade and travel volumes, has affected the way Customs administrations are managed and approach their tasks. 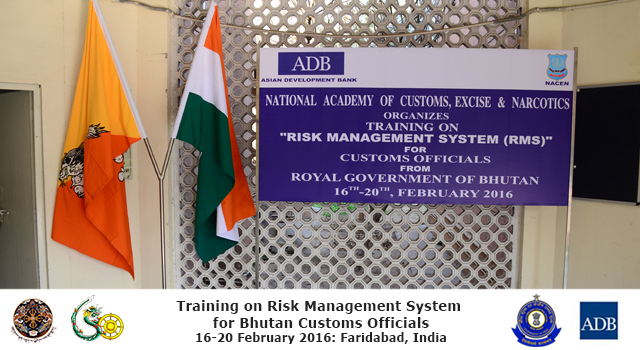 A structured and systematic way to manage risk as early in the supply chain as possible enables Customs to better meet current demands to facilitate trade while simultaneously regulating ensuring security at national borders. Post-clearance compliance verification, PCA and OSPCA. 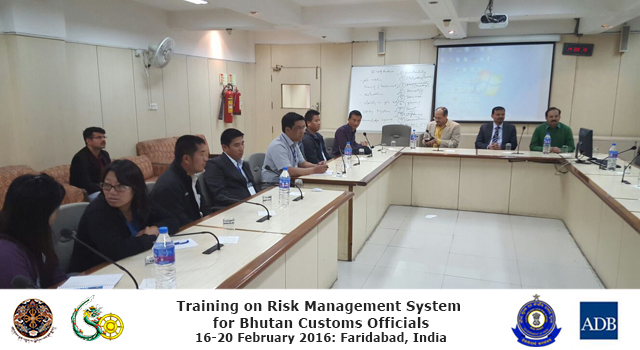 A field visit was conducted to CBEC’s Internal Container Depot, New Delhi to observe firsthand how risk management is implemented, and its effectiveness in clearing high volumes of cargo traffic on a regular basis. 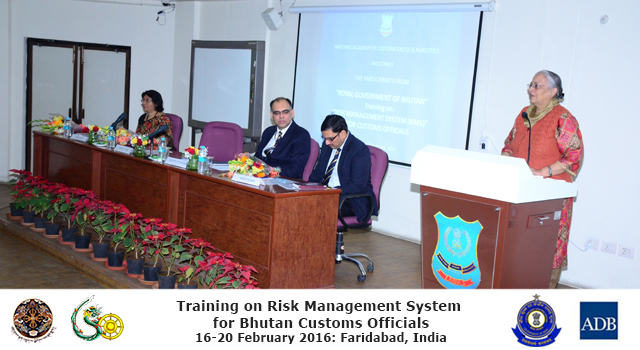 The training was inaugurated by Director General, NACEN and supported by technical resource persons from NACEN’s Risk Management Division. 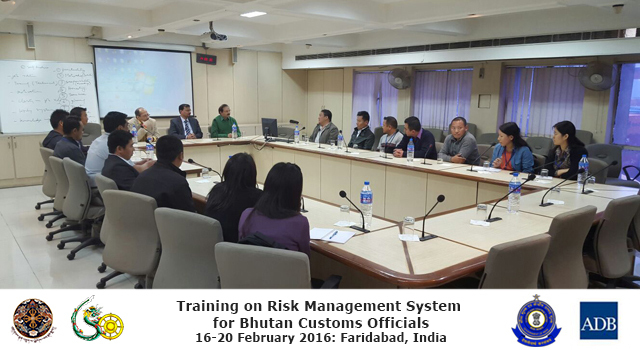 CBEC/NACEN provided financial assistance and logistical support for the training, together with the Asian Development Bank which also contributed through its Technical Assistance Special Fund.